I just got home from a delivery. Hope you don't mind me sharing our last delivery for this year. Last week, days before Christmas, my husband delivered 65 boxes of Double Chocolate Cookies, Chocolate Barks, Dark Chocolate Heart Bons, on the day my daughter was hospitalized. It was hard to think how we could ever do the delivery while we have some problems. But we did however. And now my daughter is getting better. A friend from our church had commissioned me to set up a simple cupcake set up for his friend's 50th birthday. 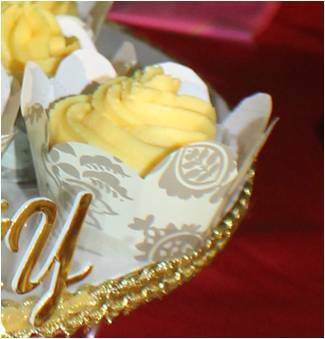 100 cupcakes were ordered and delivered at Tower 2 of Cityland Condo, Sen. Gil Puyat Ave, Makati. My daughter made these paisely cupcake holder from Hallmark's gift-wrapping papers. You can actually make your own, with any design and colors. From the family that built the home for foodies! This Christmas had been an awesome one for me and my family. 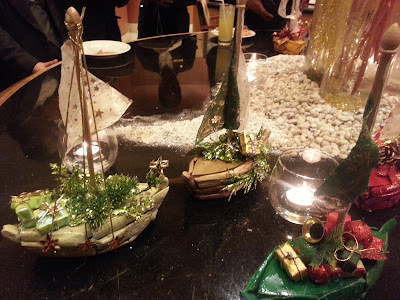 Sure, I wasn't able to prepare a fete for our Christmas dinner (or Noche Buena), was not even able to gift wrap my gifts for my kids, not being able to send nor greet everyone on Christmas Day, heck not even a post of how elaborate this season was for Gastronomy by Joy. I think my excuse would be accepted. One of my daughter you see is a DM 1 patient, in layman's term, she is diabetic taking insulin, subcutaneously. She was confined to the hospital six days before Christmas, due to Dengue fever, causing DKA (Diabetic Ketoacidosis), with the condition of her blood sugar unstabilized. Forcing an eight-year old girl to vomit profusely, getting dehydrated and losing hope. All praises to God, we got out of the hospital in the nick of Christmas time, yes we went out at 12 pm of December 24. It was a miracle that after three days of staying at the hospital, my Dana was able to recover so fast. Though unable to sit up, she was able to have enough nutrition and medication to get her platelets dropping at bay while recovering a normal blood sugar reading, although her platelet count only went up the day before we went out. Seeing a flood of prayers from our friends and relatives was truly heart-warming. The gift that won't collect dust, won't be destroyed by moths, won't be stolen. The gift that added more years to our daughter's life. But, in spite of all the things we went through I still would want to let you know, that you are valued! This may not be considered as my gift to you. In case you didn't realize, there is someone a far greater gift-giver - the reason, why we had to do all sorts of things to show our loved ones how they are loved. The One who have loved us far greater than anyone else, causing His life to be given as a gift to humanity. None other than the Lord Jesus Christ. 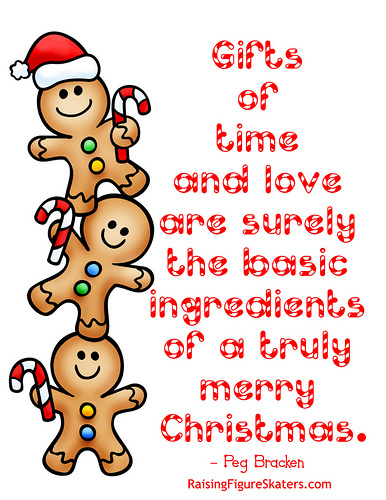 Above all the feasts, the harmonious songs and the gifts, what is also important is the family, where love is the beacon and through which God's merciful and everlasting love is illuminated. P.S. Don't worry I still have a lot in store for the foodie-lovers out there. 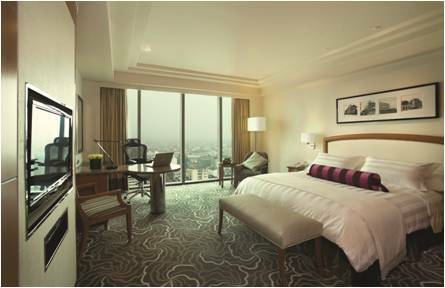 Treat your friends and loved ones this yuletide season with a relaxing stay at Pan Pacific Manila – the first and finest Butler hotel in the Philippines. 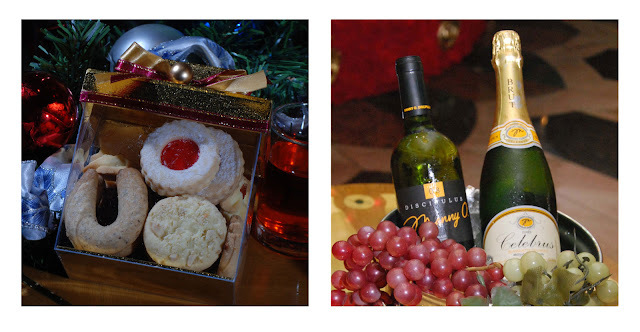 Book our “Christmas Cheers” room package and enjoy lush amenities such as daily breakfast buffet for two persons at the Pacific Lounge, pre-dinner cocktails for two, complimentary high-speed Internet access, 20% discount at the Pacific Lounge, Lobby Lounge and My Pool, 10% discount on in-room massage treatments, unlimited local calls within Metro Manila, and exceptional 24-hour Butler service. Guests staying with us on 24 December 2012 will also receive complimentary access to the Noche Buena for two persons per room booked. Book with us now! 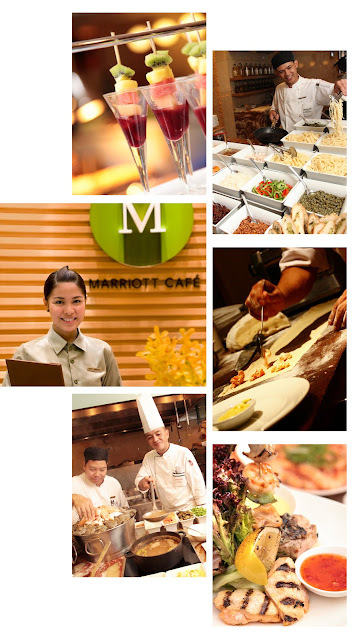 Rates start at Php 6,500 net per night, valid from 1 to 28 December 2012 and 1 to 15 January 2013. Terms and conditions apply. The first and finest Butler hotel in the Philippines – ranked among the top Asia city hotels at the 2008 and 2009 Readers Choice Awards, named one of the best places to stay in the world at the Annual Gold List by the Conde Nast Traveler, and also awarded as the Philippines’ Leading Business Hotel at the 2012, 2011 and 2008 World Travel Awards. Conveniently located at the heart of the historical and cultural district of Malate in the Manila Bay area, Pan Pacific Manila is a short drive to the city’s convention, exhibition and business centers and a walk away from shopping, food and entertainment establishments. A business hotel, designed to offer a comfortable abode to business and leisure travelers with its excellent facilities and service, the hotel has 236 all-executive rooms and suites and 7 spacious function rooms. Pan Pacific Hotels and Resorts comprises 19 premium hotels, resorts and serviced suites (including those under development) in 12 countries across Asia, North America and Oceania. The “Pan Pacific” brand provides refreshing Pacific experiences inspired by an invigorating blend of its Pacific Rim locations. It is focused on enriching experiences that draw on a diversity of landscapes and cultures; and relevant choices that convey freedom and individuality. Pan Pacific Hotels and Resorts has been recognized by Condé Nast Traveller magazine as one of the 25 hotel companies demonstrating social responsibility and has won esteemed accolades such as World Travel Awards, AAA Four Diamond Award, Condé Nast Gold List and Readers Choice Awards. For more information, visit panpacific.com. Are you a TEN Mover? Well I am! To be one, you should be one with us in promoting TEN Moves. Also, make sure to have a spare P10 coin (hehe)! To give you an idea, TEN Moves! is the fundraising campaign of Bayanihang Pampaaralan, a private sector initiative to help address the classroom shortage in public schools all over the Philippines. While the government's budget for the building of classrooms is increasing, the resources are still not enough to fully address the classroom backlog and provide Filipino students nationwide with adequate learning facilities that will lead to improved education outcomes. The entire nation is encouraged to donate at least P10, hoping to build up to P 300 a month (that's P10 per day of every month). 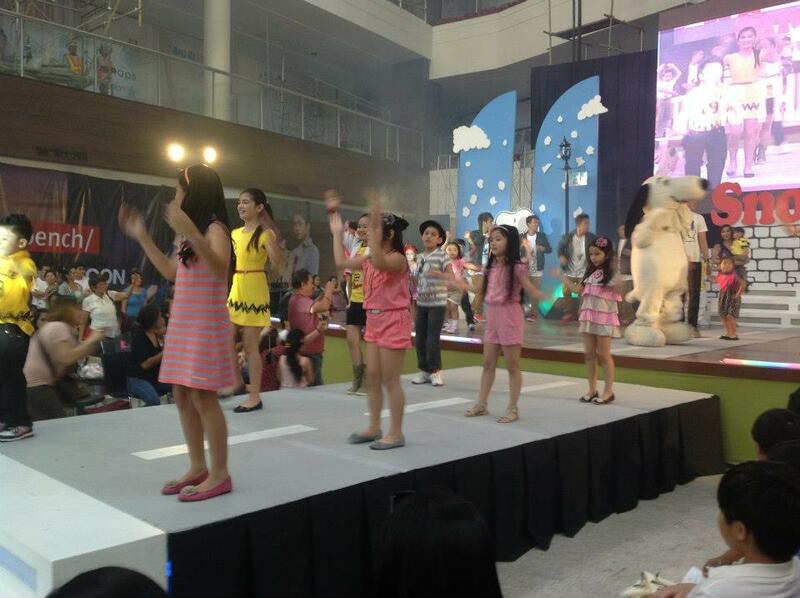 The campaign said to raise enough resources to build 10,000 classrooms in public schools all over the Philippines. With all these in mind, a campaign was made in light of this. Dubbed as TEN Movers! Run for 10, which is set to take place on January 13, 2013 at the Ayala Triangle Gardens in Makati City, and will be organized simultaneously in 10 other provinces in the Philippines, namely Butuan, Cagayan de Oro, Cebu, Dipolog, Dumaguete, Legazpi, Pampanga, Tarlac, Zamboanga, and Zamboanga Sibugay. Registration will open on December 20, 2012. Fees are: P200 (2.5km), P400 (5km), and P500 (10km). Watch out for further announcements on the registration details! The more you run, the more classrooms you build! 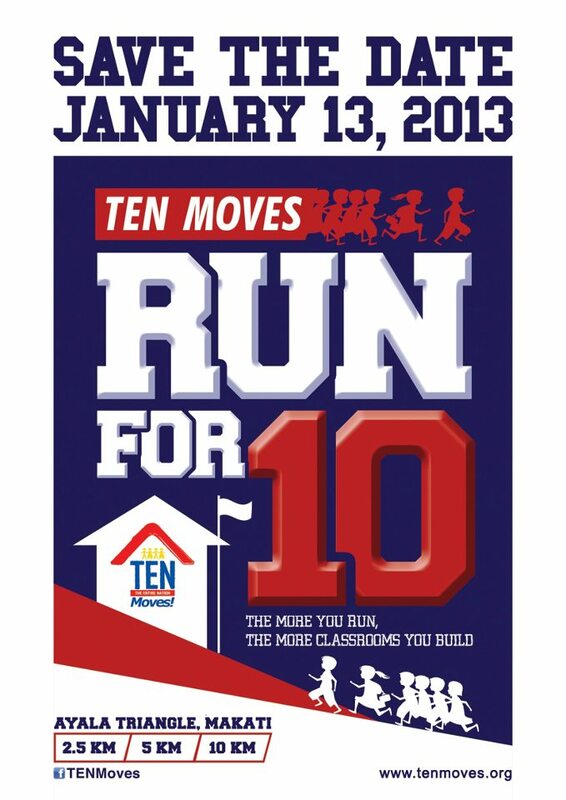 Run for 10 is considered a platform to ramp up the support and donations for The Entire Nation (TEN) Moves! It is a high-visibility activity that enables various sectors of society to come together and literally “move” for TEN Moves! Run for 10 also gives life to the concept of the entire nation moving for one common cause – the goal of building 10,000 classrooms throughout the Philippines – as it conducts simultaneous runs in key cities nationwide. Interested participants can register at the T-Shirt Project branches located at Glorietta, Trinoma, and Market! Market!. Registration starts on December 20, 2012. The registration fee is P200 for 2.5k, P400 for 5k, and P500 for 10k. 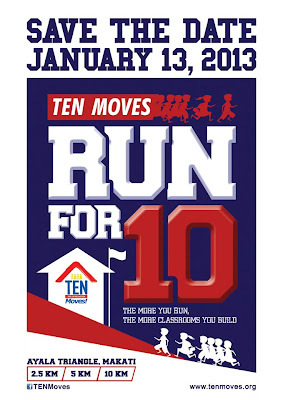 HOW CAN ORGANIZATIONS AND CORPORATIONS TAKE PART IN RUN FOR 10? So TEN Movers! Get your running shoes ready and let's move the entire nation to act up and help rebuild our nation, starting with our public school facilities. For further inquiries, please contact the TEN Moves Secretariat at (632) 752-1061 or email info@tenmoves.org. You can also add them on Facebook at facebook.com/TENMoves or follow them on Twitter through twitter.com/TEN_Moves. 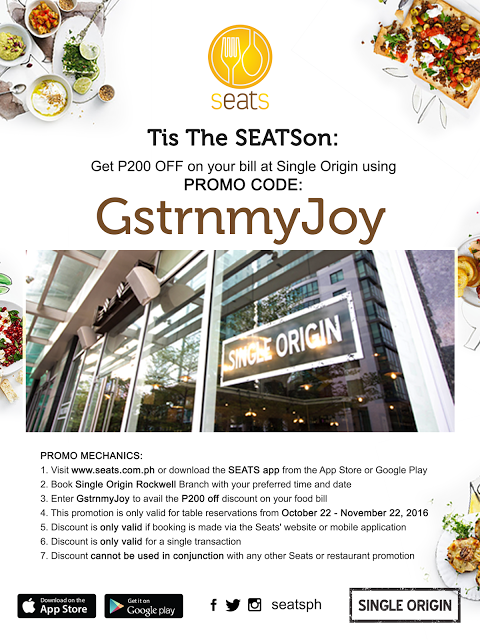 My unalloyed pleasure in dining brought me to seeking out the best restaurants in Manila, and apparently the best have not been touted so and most of them have been kept secret by those who know the trade so well. 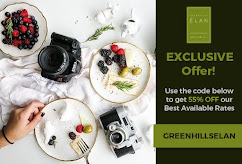 But thanks to the couple Elian Habayeb and Ines Cabarrus (owners also of Chihuahua Mexican Grill), authors of the best-selling coffee-table book Manila’s Best Kept Restaurant Secrets, they have managed to spill the beans to foodies like us. Thus, on the night of November 27 the winners were revealed one by one. Too bad I wasn't able to attend the festivity, I've read that the crowd's number was record breaking and comestibles flowed to the brim. 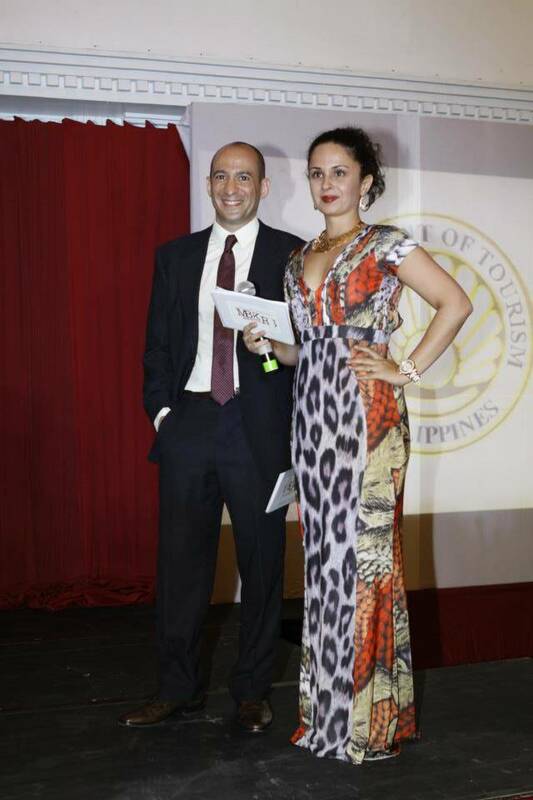 Subsequently, Ines and Elian were the one who organized and hosted the prestigious event and they were joined on stage by celebrity presenters who helped hand out the night’s prestigious awards: Metro Society Managing Editor Georgia Schulze del Rosario, popular blog When in Manila’s Vince Golangco, Ministry of Mushrooms Founder Marco Lobregat, Pinkerton Ice Cream’s Alexandra Rocha, Jim Araneta of Global Beer Exchange, Tina Pamintuan of L’Incontro, Enderun’s Hospitality Management Director Bobby Horrigan, Mercato Centrale Co-founder Vanessa Ledesma, The Comedy Cartel’s Noel Gasconand Victor Anastacio, Juice.ph’s Spanky Enriquez, Melissa Gecolea of ANC, and actors Janice de Belen and Johnny Revilla, who are both starring together in the upcoming thriller Strangers. The independent auditing firm SGV & Co witnessed the announcements and checked whether the results from the survey tool QuestionPro are consistent with the winners announced.joined by seasoned foodies and gourmands both in the media and the market. The organizers of the MBKRS Awards are simply facilitators and do not vote. 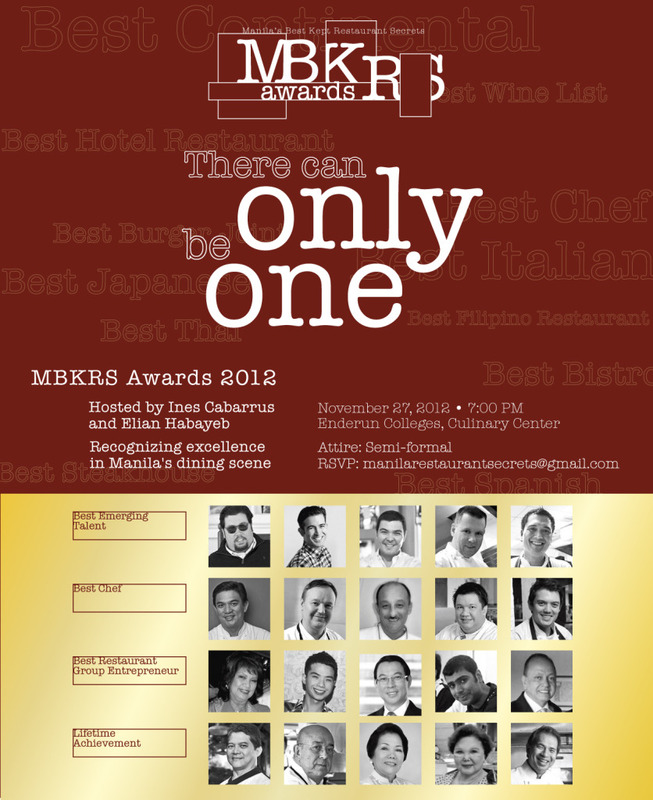 This academy of judges is made up of individuals distinguished in the restaurant industry and other related fields. 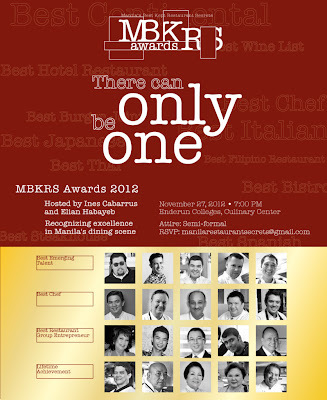 For more pictures and updates, visit www.mbkrsawards.com and like www.facebook.com/mbkrsawards to get real-time updates. After officially launching its Christmas season fete with the lighting of the 35-foot Christmas tree at the Atrium Lounge last November 15, 2012, Century Park Hotel now bares its special holiday treats fit for the merriest season of the year. At the Café in the Park on Christmas and New Year’s eve and day, indulge in a special buffet spread consisting a vast array of appetizers, salads, sides, flavorful entrees, succulent slow roasted U.S. Prime beef and delicious desserts to be enjoyed by the whole family and friends for only P 1,475 +. Visit the Holiday booth of native fares and take a pick between puto bumbong and bibingka for a snack while sipping traditional tsokolate or salabat all day everyday during the season. 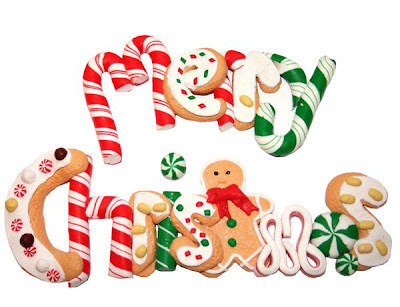 Be generous and let Deli Snack assist you plan out your Christmas gifts for colleagues, clients and loved ones. Be creative and customize your hampers from its international range of food, delicatessen, wines, and spirits. 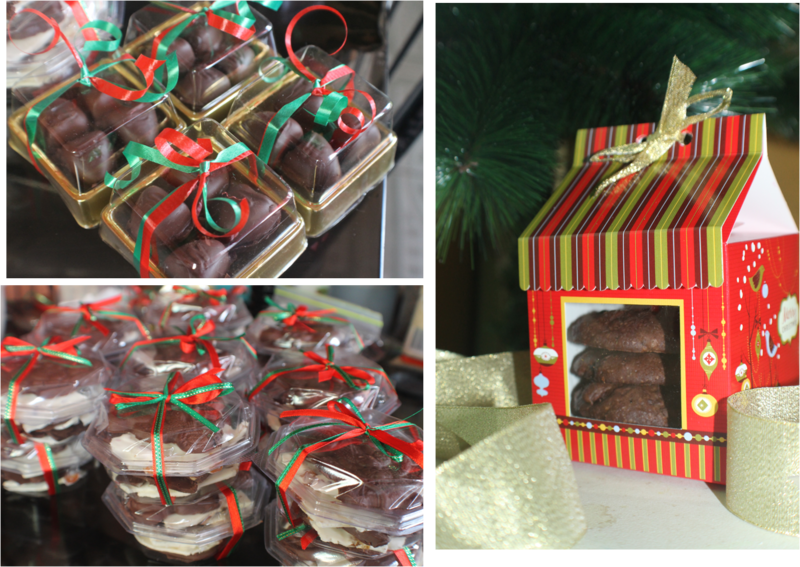 Pre-packaged hampers are also available from P 750, P 1,500 to P 2,000 depending on your budget. For your take-home gift-giving essentials, the Deli lobby booth is the answer to that last minute urges. Visually impaired but musically talented young children and adults of the internationally-acclaimed group Ambassadors of Light Foundation choir shall once again share with you their inspiring Christmas carols and melodies at the Atrium Lounge on December 15, Saturday at 6 pm. For authentic Japanese value feast, drop by the Century Tsukiji. The Japanese cuisine restaurant recognized by the Miele Guide as one of Asia’s finest this year, offers on Christmas and New Year’s Eve and day a set menu for only P 1,895 +, good for two persons. 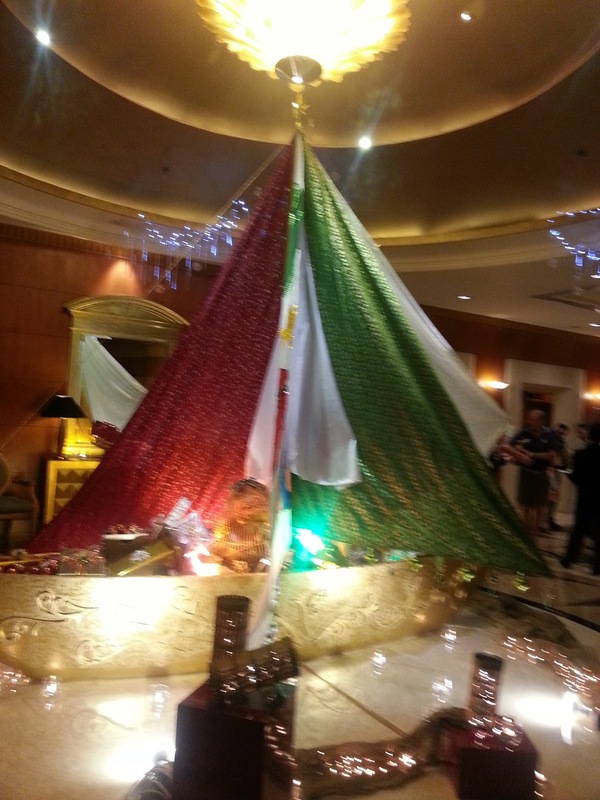 Guests can also welcome the New Year at Top of the Century with a live entertainment from 8:30 pm till after countdown. It will be a night of festivity and more fun as the hotel’s bar and lounge on the 19th floor alternately features the sultry Jennifer Rawolle with master pianist Ben Uy and the sweltering Sarita and her trio. 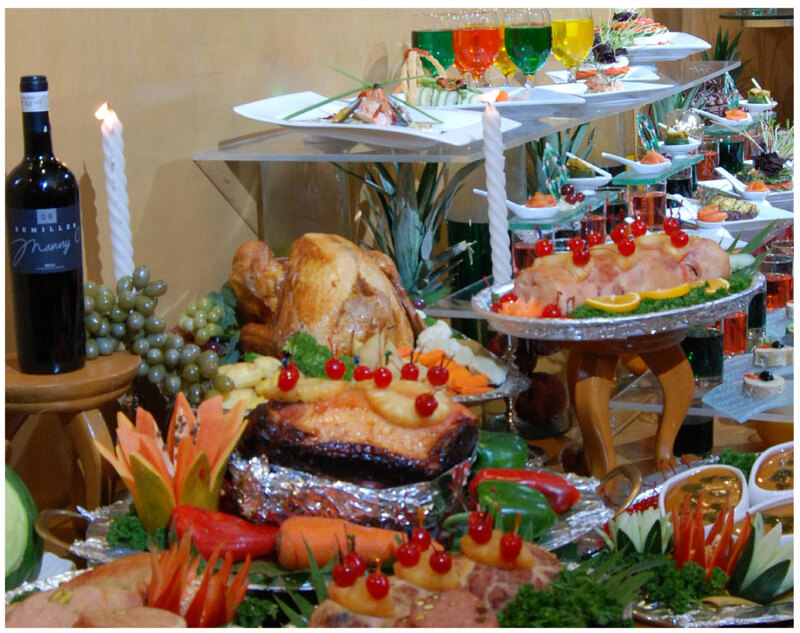 A cocktail buffet is available for only P 695 + per person for non-hotel guests and is optional to hotel room occupants. 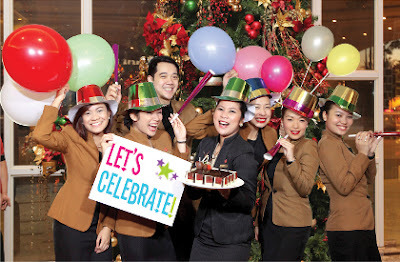 And to complete the merriest of experience this season, the hotel offers a special holiday room rate of P 5,800 net per night in either the one-bedroom park tower or junior suite, inclusive of a complimentary breakfast at the Café in the Park for two adults and two kids below twelve years old. Your children will surely enjoy a dozen of freshly-made macarons generously filled with thick creams in five different scrumptious flavors to choose from – pistachio, lemon, orange, strawberry and praline – on the house. For couples, an overnight stay in a classic superior room with a hearty breakfast for two is only P 3,800 net. 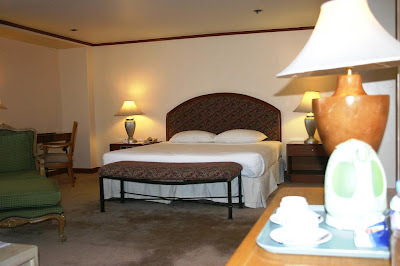 Both room packages include a twenty (20) percent discount on the hotel’s food and beverage outlets. 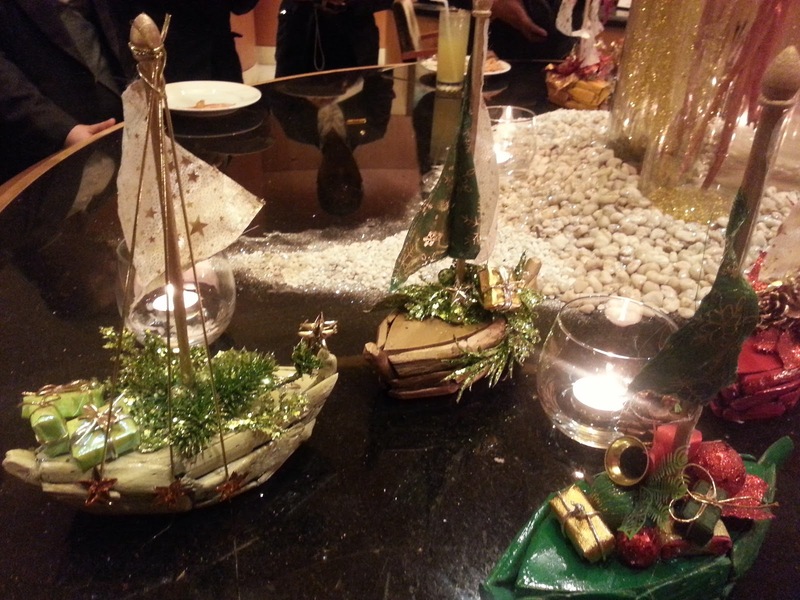 Experience yuletide joy in your delightful stay and treasure the tender memories that will linger even long after. Promo is valid from November 15, 2012 until January 1, 2013. 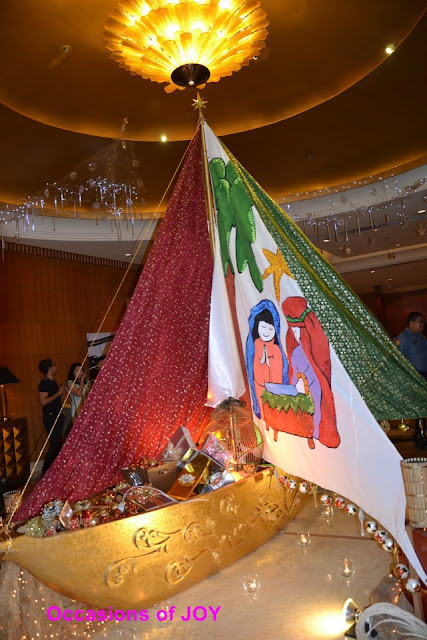 With the numerous holiday treats lined up, Century Park Hotel hopes to deliver the essence of a truly wonderful and a “more fun” Filipino Christmas in our own special way. Friends, families and associates can expect a celebration both reassuringly merry and pleasantly awesome. For more information, contact them at telephone no. 528-8888 or send them email at information@centurypark.com.ph. Everyday as the sun rises, apart from the many plans I have for the entire day, there is one thought that comes to my mind- what to have for my breakfast? How about you? There is this book that my girls would love to read over and over again and is very timely for this blog's topic. This is a part of a story Winnie the Pooh as told by A.A. Milne. Here is how I have recalled it. How could those lines not make you grin. I bet many of us are like Pooh, all excited for the sunny day with a hearty breakfast to spruce up another tiring and challenging day. That is why for me breakfast is important. In my house I serve rice coupled with eggs differently prepared for every day, hotdogs (the usual Moms do), hams, tuyo (dried fish), tapa and too many it would fill this page up if I'll mention them all. Filipinos are heavy breakfast eaters and I'm one of them. I think we are the only nation who eat rice with viands for breakfast and whimsy as it may seem, elusive meal ideas are way becoming a challenge to breakfast lovers. But I don't mind being challenged at all. For without a yellow plate like on the picture above, my day would not be as powerful and pleasurable, which is something I would need to inspire me do more relevant things, making a day a fruitful one. 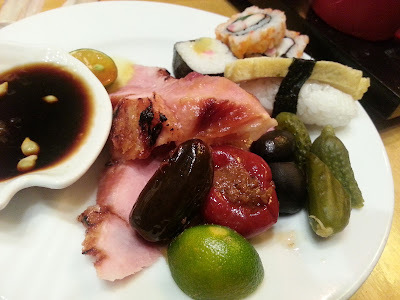 I was challenged indeed when sometime last week, an invitation came for me to try breakfast at Sentro 1771. And like Pooh, I knew I'm on to something really exciting. 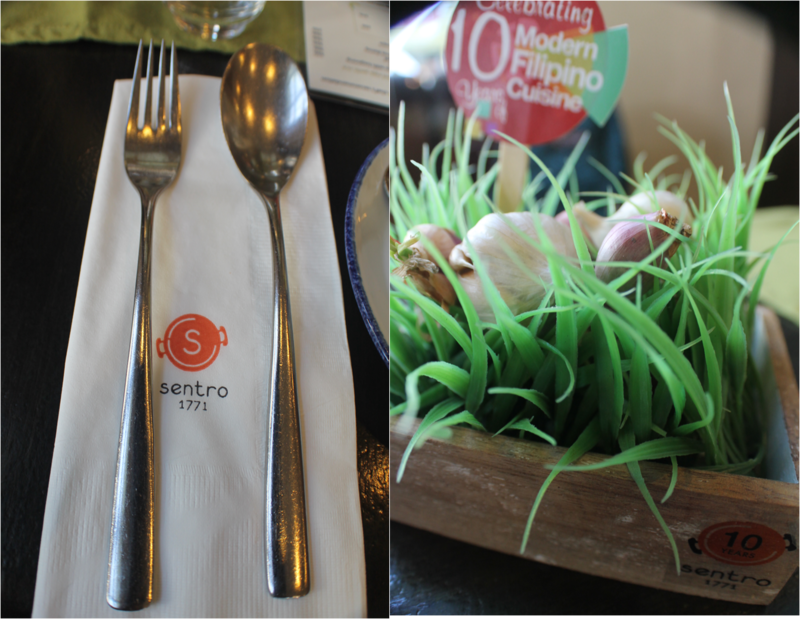 Sentro is known for innovating and reinventing home grown Filipino dishes, and interestingly taking “lutong pinoy” a notch higher. Contrary to the fact that they are serving fusion dishes. They center on homegrown Filipino dishes but with a more palatable twist, making each dish something to come back to. 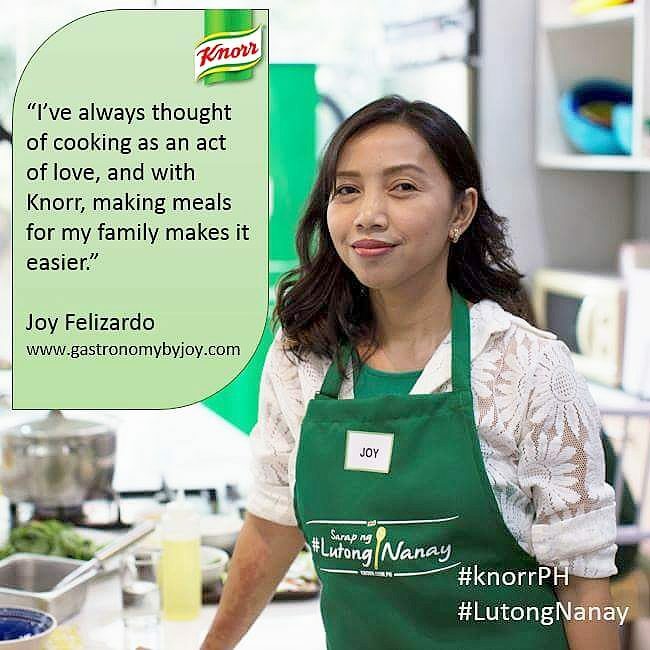 One example is the esteemed Sinigang na Corned Beef and Rated GG. Surprisingly, they do serve breakfast and they open up 7 in the morning, both at the Serendra and Greenbelt branches. For my breakfast at Sentro 1771, I ordered the Bonuan Bangus with Fried Rice and Scrambled Eggs. This had to go with a good cup of brewed coffee, of course, another important part of the early bird's meal. This fried boneless bangus (milkfish) is a proud product of Dagupan, and will always be my favorite, more so here at Sentro where they have to smother it with garlic. Thus, every bite is garlic infused without being salty for a preserved humble fish. I also love that they put atchara, or pickled papaya ,over the plate of rice and egg which I found to be be very "Tagalog" in nature. If you are somehow tired of having rice, how about some bread, more so, "Kesong Puti" on your toasts. Well initially one of us had ordered (or what is actually on the menu) hot Pandesal topped with "Kesong Puti" (goat cheese) but since it was about to be 10 in the morning and the restaurant had been a beehive of activity since I got there at 8, they ran out of pandesal. This is really getting way more exciting even as I share this to you. For next to my post is this sunny plate of Omelette, Bacon and Beans, which were served with more toasts (or you have the option to have rice with it). You may seem to say that this is not a typical Filipino dish. Well, traditionally not, but in our modern world we can safely say so. Having the colonial mentality branding us Pinoys to love what our Caucasian brothers and sisters love to eat, most of us have grown to love bacons, hams, and beans. So if you're one of those, Sentro is the right place for you. But let me tell you, you can not find canned beans or fat-laden bacon strips in this area, only home-cooked pork and beans, and crispy lean high-grade meat bacon strips. I have to hand it to Executive Chef Vicky Rose Pacheco. Her inventiveness goes beyond preparing the usual fare, like this bowl of minced pork, which is actually deconstructed longaniza, known to regular early diners as Baguio Longanisa na Durog. if you crave the famous Baguio Longanisa or if you seem to avoid longanisa casing but long to indulge in the garlicky goodness of a savory Filipino delicacy, then plan your way here. Baffled somehow, by why restaurants serving all-day breakfast menus still flourish? 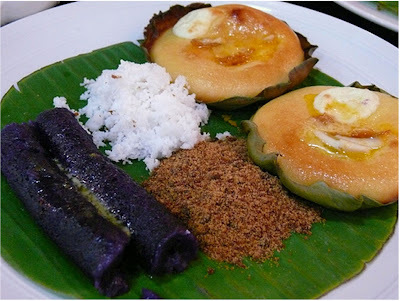 We have to admit that Filipino breakfast meals are as filling and healthy as other meals of the day. I'm pretty sure like me, you have been to one-too-many "tap-silog" houses all over the metro. One of my fave is Chef Laudico's BFast Angus Tapa and the one near our place, Tito's. 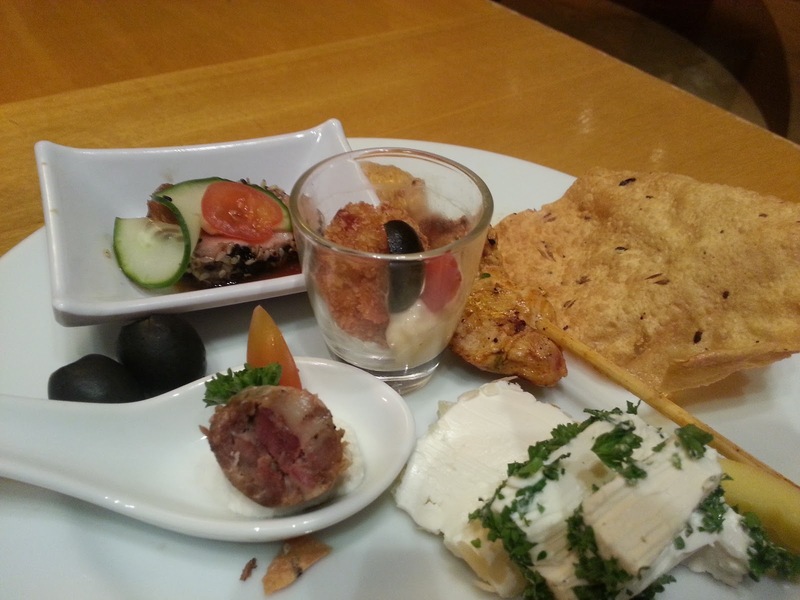 Now, I've included Sentro 1771's SirloinTapa in the must-try Tapa list. Another brilliant invention was the Adobo Flakes and I swear, I will go back to Sentro for this, because I wasn't able to get a taste and never had a chance to examine it. Apparently, the dish is a different take on our 'national dish' Adobo (just saying), where the chicken meat, probably cooked or marinated with the Adobo ingredients were painstakingly flaked and fried to crunchy golden perfection. This is good with either the usual steamed rice (they also have brown rice) or Bagoong Rice. Now let me ask you, is there a better word for exciting? Because I am about to introduce some of their dessert offerings. My Rip-roaring Dessert Adventure at Sentro 1771. 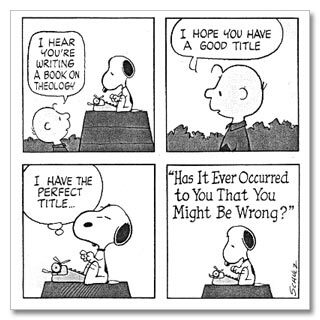 Yep, that could be one heck of a title for the following post. You will see why. Who's up for some suman and fresh mangoes? Their unmasked suman was lightly fried to give subtle crust on the outside, sliced then topped with luscious sweet and fresh mangoes. Everything was then drizzled with the syrupy consistency of coco jam. The Fried Suman and Mangoes can be tricky if prepared wrongly. The suman should not be too sweet to compliment with the cocojam and mango slices. Which is true with Sentro's. 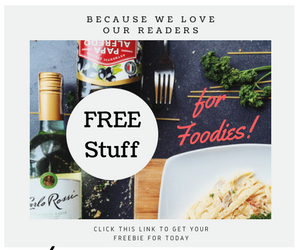 In modern gourmet dining, the partnership of saltiness and sweetness in a dessert have been well thought off and are now being raved at. If you are into hedonistic epicurean dining you know what I am talking about, and their Keso Flan, brought me to 'chessert paradise' (chessert is short for cheese and dessert, btw). Quite misleading, the dessert plate above is actually a cheesecake but without a crust or pie shell and is made to look like our fiesta fave Leche Flan (Caramel Custard). 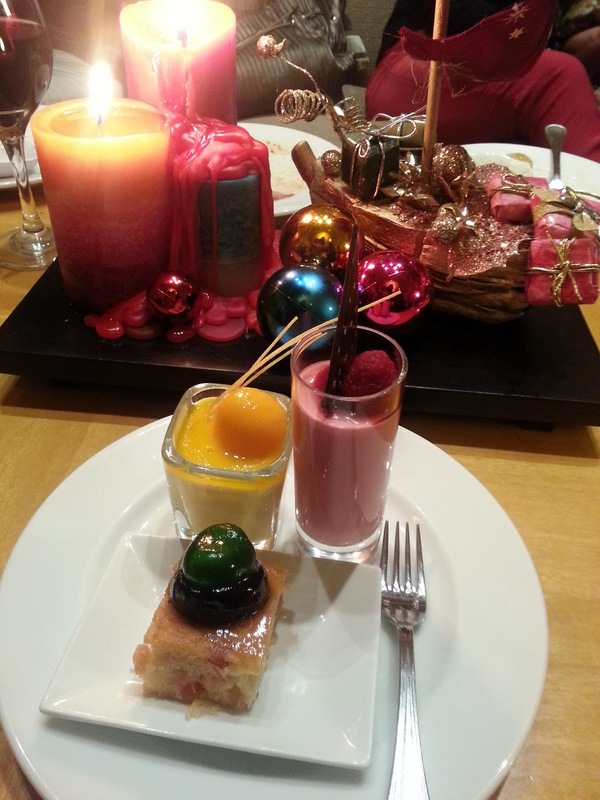 The secret here is to have a bit of the flan, deliberately followed by a bit of the Quezo de Bola and salted egg. And you are there! Chessert Paradise, Babyee! My choice was the Maja Blanca Crepe. Just imagine rice flour made into paper thin pancakes. The native Maja Blanca made out of humble provenance oozed out as if telling me how good it is, rolled with the crepe and drizzled further with coco jam. For the Sans Rival lovers, here is a way better rendition. Upon seeing this, our pulses were quickened and the voracious foodies in all five of us present in the table was was seriously awakened. The towering beauty of the four coffee meringue arranged so laced dramatically with coffee-flavored French butter creme. Sans Rival or Sanz Rival is a French word for without rival. Must I say that the Coffee Bean San Rival is truly unrivaled. is how it was so described in the menu. The crust is made up of chocolate and cashews, delicate and crumbly, then filled with creamy coffee goodness. A light layer of cream cheese and toffee sauce lined the top and for a picture-perfect afters, the plate was heavily dusted with a mix of what may seem to be confectioner's sugar and cocoa. If you have been overwhelmed and sugar-highed, you can opt to have a fruit platter. Nothings beats fresh fruit slices before and after any meals. I guess by now I have given you enough breakfast, snacks and dessert ideas. It may be a bit pricey but I understand why they could not compromise, by lowering the price thus giving lesser quality of food and just imagine the intricacies observed when preparing each dish. Nothing we breakfast-lovers could not handle. Here at Sentro, gourmet quality food prepared out of passion for Filipino dishes and the consummate foodie is reconciled. So what are you waiting for, below are the details on how you can get in touch with them for more information and reservations.